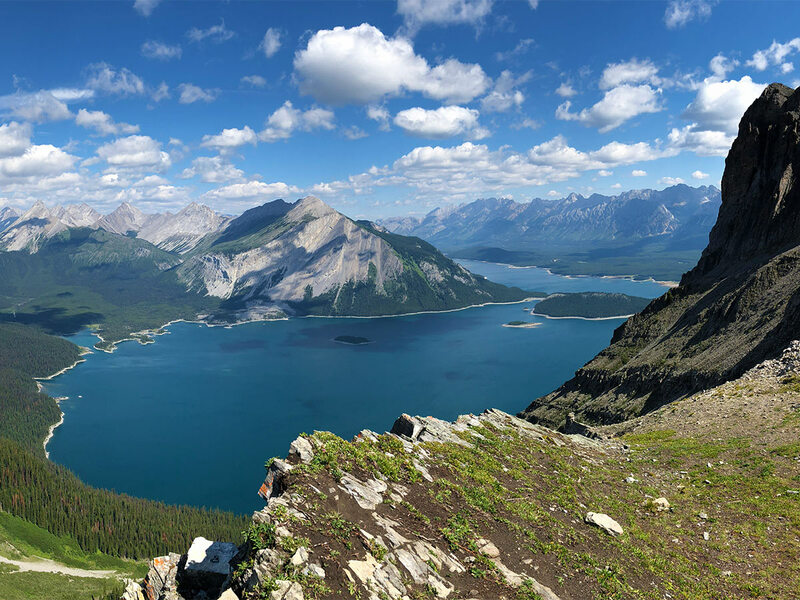 The Kananaskis is a series of Provincial Parks south of Banff National Park. 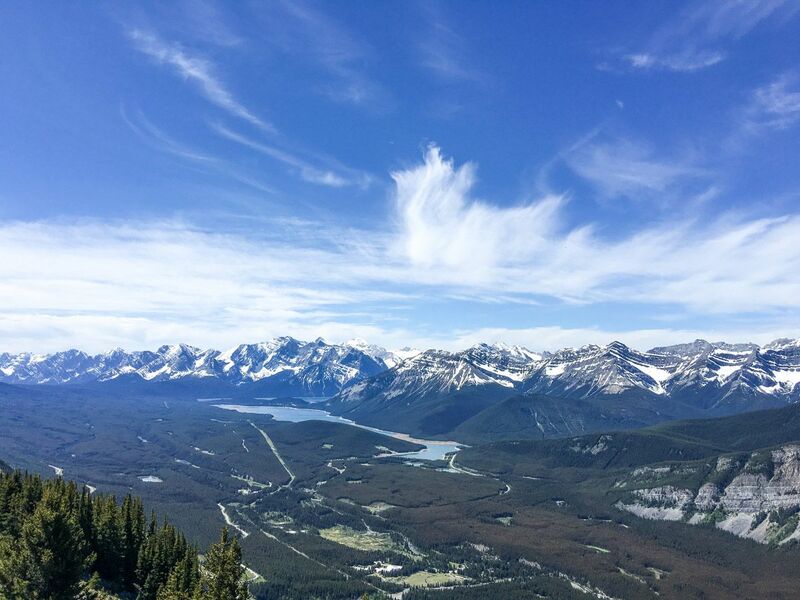 While relatively undiscovered to tourists, many locals prefer spending their weekends enjoying the rugged Kananaskis. While the southern, Highwood region, is closed for half the year, there are still lots of great hikes on this list! 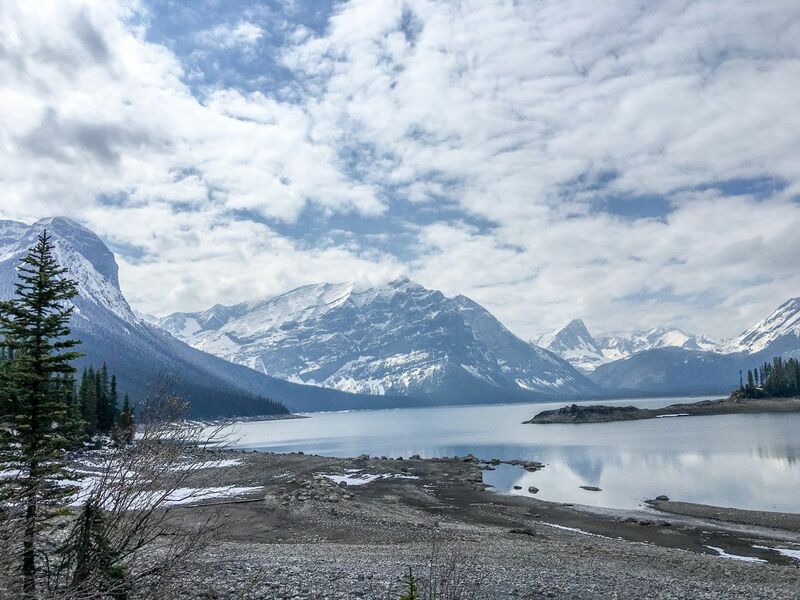 The best hikes here are mostly intermediate and advanced hikes, but the Kananaskis Region is also a great place for family hikes, however there are two on our list. You’re going to love these hikes! 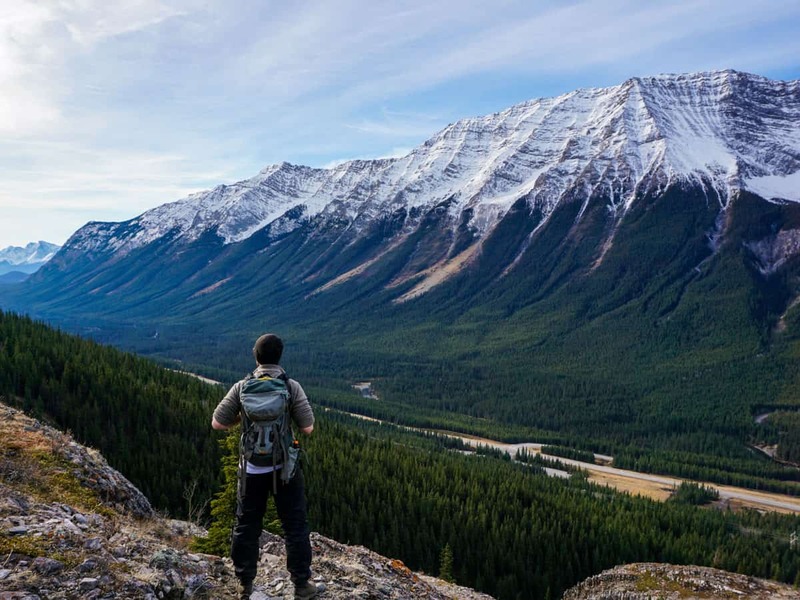 We share the Top 10 Hikes along Kananaskis Trail (Hwy 40) in Kananaskis below. Pocaterra Ridge is a classic Kananaskis hike, best known as one of the top spots to enjoy the autumn beauty of changing larches. Viewing the larches from Pocaterra Ridge is a must-do for any ardent hiker. It’s a great hike the rest of the year as well. 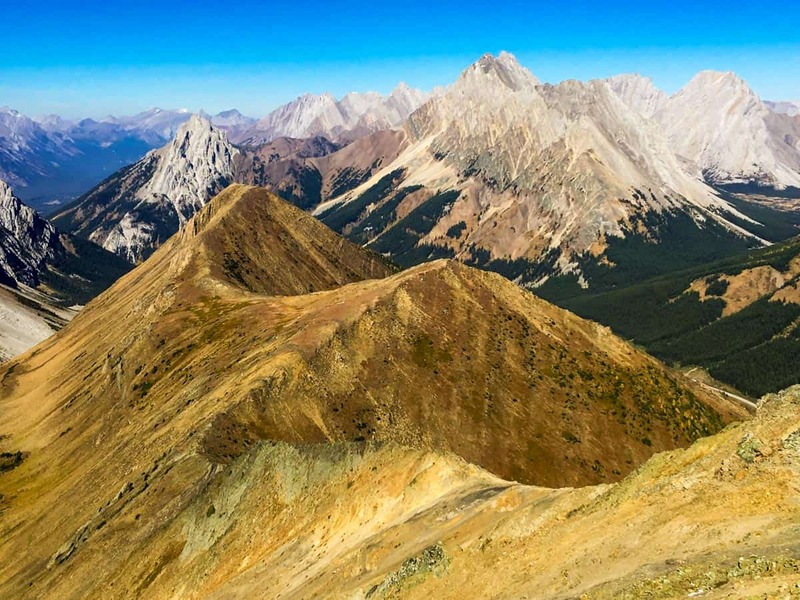 The hike up Opal Ridge is a steep hike with wonderful views of the Kananaskis Valley. This hike a real gem, with great views. More than one person has told us that Picklejar Lakes is their favorite hike in the Canadian Rockies.  We think this is one of the best intermediate level hikes in the Kananaskis area, and a good objective for families with older children. The trail to Guinn’s Pass is spectacular, offering stunning views. This hike takes in Lillian Lake, Lower Galatea Lake and then up to Guinn’s Pass, offering views down to Ribbon Lake and over to Buller Pass. This trip is pretty special. The views from King Creek Ridge are spectacular. But getting there and back is a challenge. This unmaintained hike is one of the more challenging hikes in Kananaskis, as it’s steep and slippery when too dry or wet. The hike to Sarrail Ridge offers some of the most stunning views in the Canadian Rockies, it is truly spectacular. The final push up Sarrail Ridge is also perhaps the steepest hike we share in the Canadian Rockies. The informal route is degraded and challenging, and not one we’d do when wet or icy. The hike to Galatea Lakes is spectacular. The first bit to Lillian Lake is through forest, the route above Lillian Lake is outstanding, especially the circuit around Lower Galatea Lake. 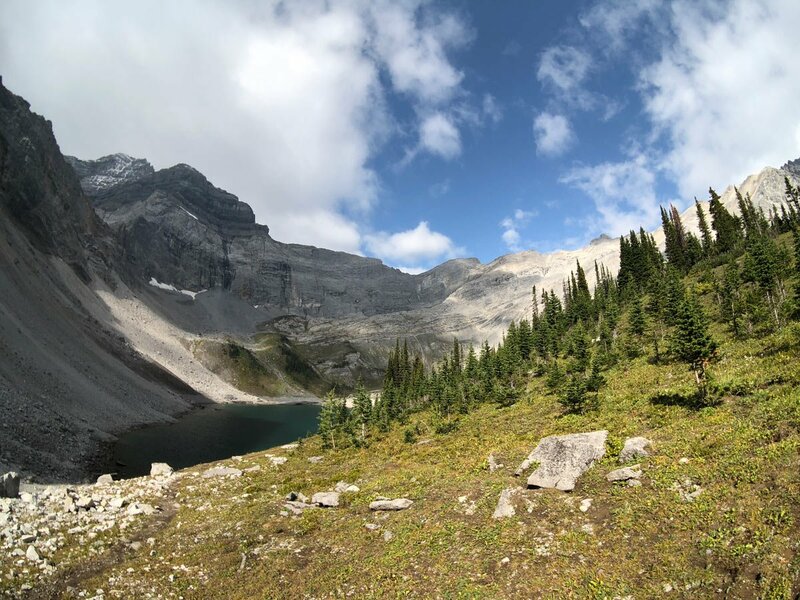 This hike takes in Lillian Lake, Lower Galatea Lake and Upper Galatea Lake. 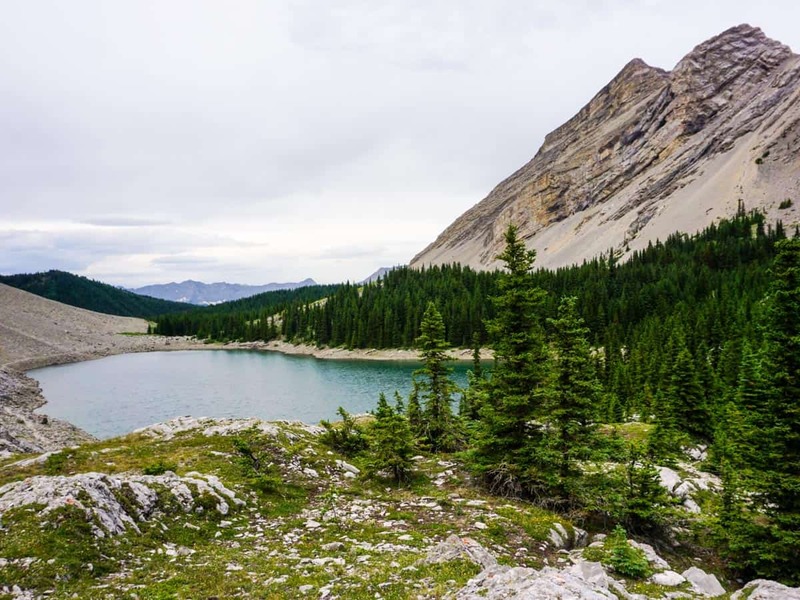 Another favourite Kananaskis hike for families is into Elbow Lake. This offers some of the best value of views for effort. More adventurous hikes can continue on to Rae Glacier, the easternmost glacier in the Kananaskis. 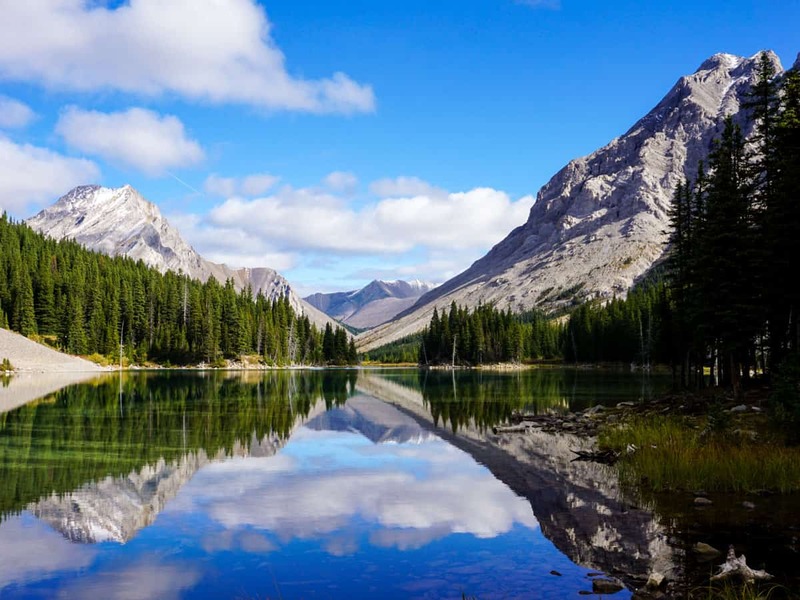 For stunning views, it’s hard to beat hiking along the edge of Upper Kananaskis Lake. Great in shoulder season, this route is also great for intermediates. It features spectacular views, varied terrain and limited elevation gain. 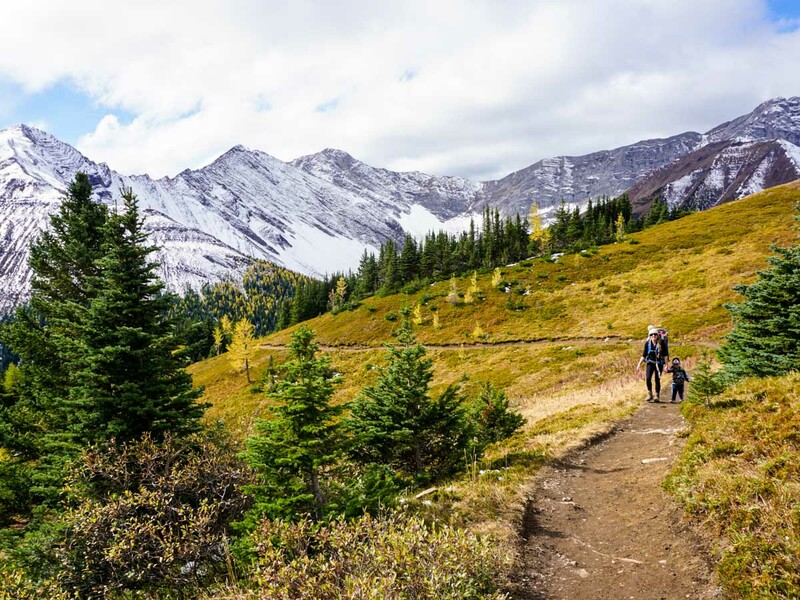 The hike to Ptarmigan Cirque is another Kananaskis Classic, and a favourite for families. Located at Highwood Pass, there are very few hikes that can get you into the Alpine so quickly and easily. This is another favourite spot to view the autumn Larches.